With Christmas right around the corner, we’re bringing you some ideas for some fabulous and frugal stocking stuffers! 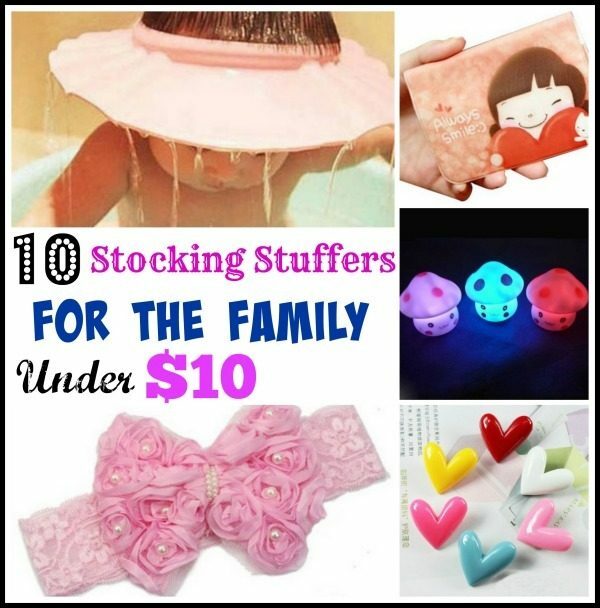 Today, we have a new list of 10 Stocking Stuffers for the Whole Family Under $2! Miss last week’s list? Don’t worry – you can check it out here! Mushroom LED Night Light – $1.20 + FREE shipping! Skull Face Mask – $1.22 + FREE shipping! Bronze Rose Necklace – $1.63 + FREE shipping! Cute Paper Notebooks – $1.64 + FREE shipping! Colorful Heart Refrigerator Magnets – $1.70 + FREE shipping! Pink Daisy Earrings – $1.73 + FREE shipping! Credit Card Wallet – $1.80 + FREE shipping! Love, Dream Rope Bracelet – $1.94 + FREE shipping! Gorgeous Lace Rose Baby Headband – $1.98 SHIPPED! Pink Baby Bath Cap – $1.99 + FREE shipping!